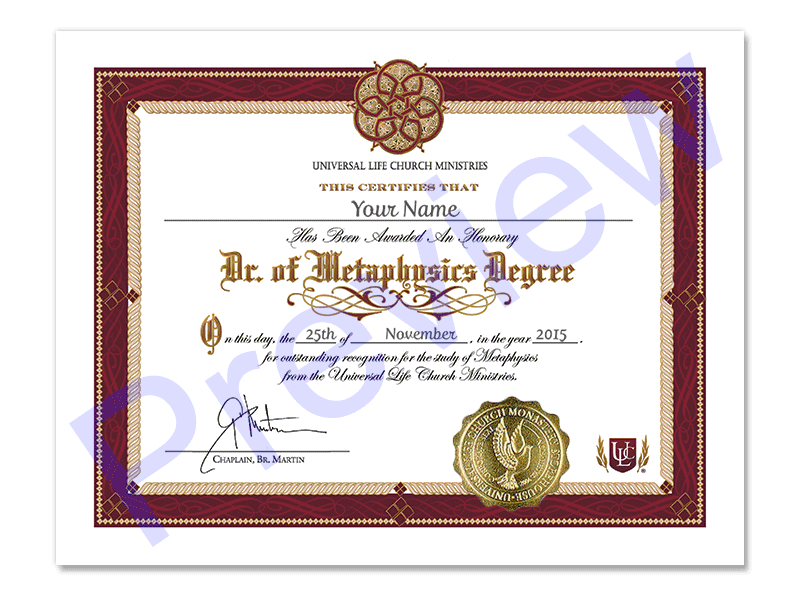 Order this beautiful customized honorary, 8.5 x 11 hand lettered certificate commemorating your self-guided completion of study in the field of metaphysics. Order your Honorary Doctor of Metaphysics Degree today. These beautiful hand lettered degrees are scripted by the church scribe, founder of Calligraphy Society of Seattle, and certifies that you have been awarded this honorary title by the Universal Life Church. It is a great size and quality for framing and features the golden seal of the church and signature of the Chaplain.